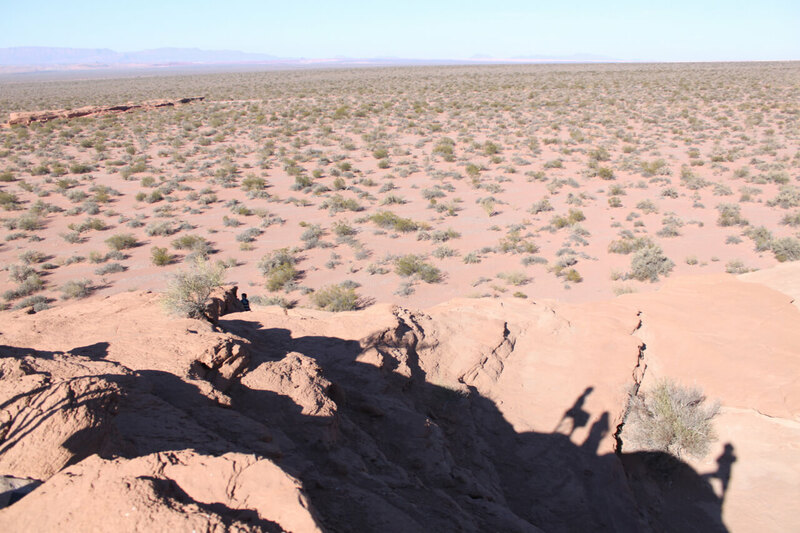 The Mendoza province greeted us with red and yellow rock formations.The sky, enormous and deep. 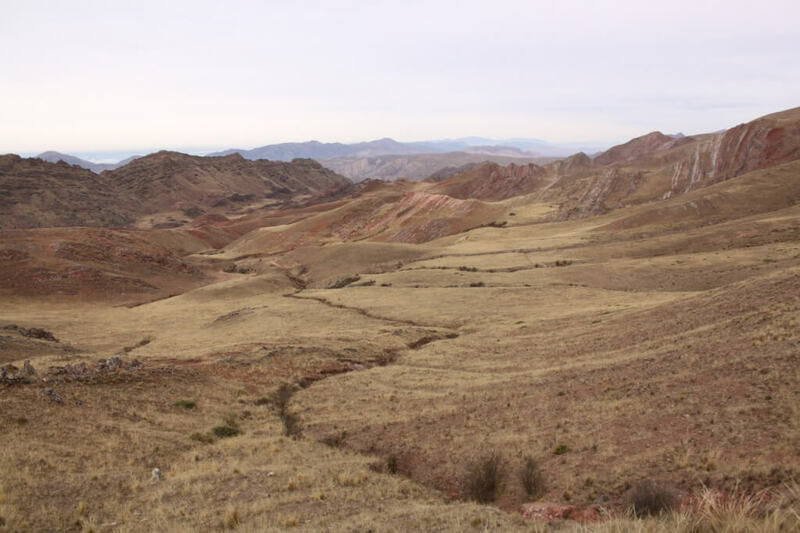 We drove down through a rocky canyon, the Andes covered with snow on the west, and at the end of the canyon, plains. We had arrived to wine country. San Rafael looked like a lovely town. Everybody was outside. It was a Sunday when we drove through, and saw many groups of people having barbeques on the side of the road and always under a tree. We gave Arg$10 (less than a dollar) to a guy who was juggling with fire at a stoplight. “Buen viaje, chicos!” (“Have a good trip, kids!”), he said smiling when he saw the license plate. These nice Argentinians, I love their spontaneity, their wonderful accent. I love that they call us kids everywhere we go. Most of all, I love that they have the travel bug, like me. When we tell them that we have been on the road for almost a year, they smile without surprise. We spent the night at a gas station along with 200 trucks, waiting for the border crossing “Los Libertadores” between Argentina and Chile to open. It had been closed for 15 days. We wanted to visit Puente del Inca and go to viewpoint of the Aconcagua, the tallest mountain in the Americas. They were both near the border. When we arrived to Uspallata, a town in the mountains, they told us we had to carry chains. We didn’t have any. There was just a tiny bit of snow on the ground but none on the road. We turned around, not without first stopping to check out an old railroad. Both Tangletown4 kids have birthdays in June. They both asked for the same: to sleep at a hostel and have internet. Miss A also wanted to be in a city with bookstores and antique stores. We arrived in Mendoza, the chosen place to celebrate, a day ahead of schedule. We spent the night at a paid parking lot or “beach” as they called them here. Three of us very much like sleeping at beaches. It feels a like sneaky. The city walks by and looks at the cars without ever imagining that in a white van we are cooking and talking about history and science (two favorite topics in Cosmo). After dinner, we went out to see the city. We stopped at bookstores on each corner, went to the plazas and had beer and submarines (steamed milk with a sunken chocolate bar). Mendoza surprised us. We are not really wine people and the wine culture is just not really us. But Mendoza offered a lot more than just wine. We liked it. Lady A slept at a hostel, ate a crepe as is tradition and was immersed in Instagram and Once Upon a Time until after she turned 12. Our internet days are intense. We all want to say hi to as many people as we can, check trip things and read the news. Read the news. That’s when we remember that we are still in this world, close to Orlando, close to the homeless in Seattle streets. And so far away from it all. We headed to the Tucumán province from Mendoza. The landscape was absolutely flat. You could see the horizon from left to right without interruption. Near San Juan, the ground was covered with salt. And all of a sudden, there was the desert. We had a full moon, a lunita tucumana. The route to Talampaya National Park was pretty, narrow, with a rocky tunnel and a background of red mountains. Winter solstice was a cloudy day. We spent it at a place we have learned to fancy: a municipal campground. Argentina and its travelers, I tell you. I don’t know whose idea it was, which president’s or which president’s hitchhiker kid’s idea, but it is the best thing in the world: camping areas with public bathrooms, showers, bbqs (have to have them here! ), water and electricity in most of the towns and cities in Argentina! And almost free! 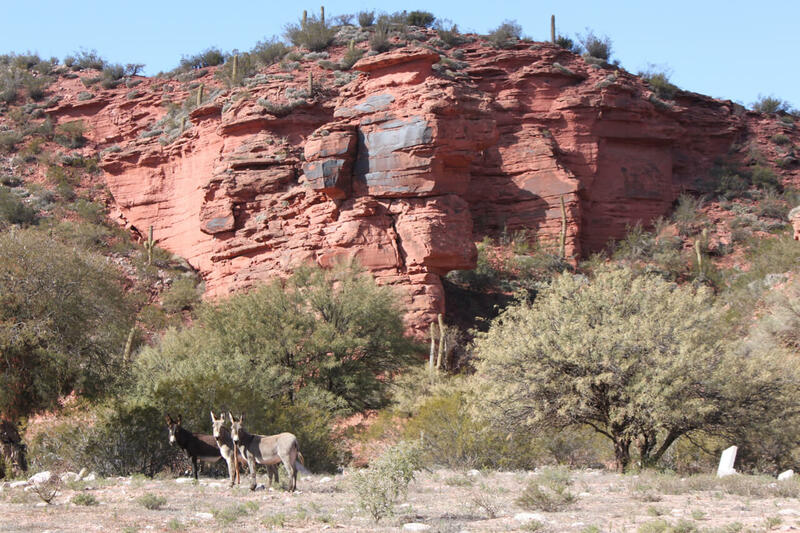 We drove an incredible section of Route 40, through the desert, red rocks and cactus. We were in Inca land again –the wiphala flag of the original peoples raised next to the Argentinian flag. We found a little oasis near the road, just for us. We visited El Shincal, Inca ruins located among hills and valleys in a lovely area and with a nice little museum. We bought sugar-covered walnuts. 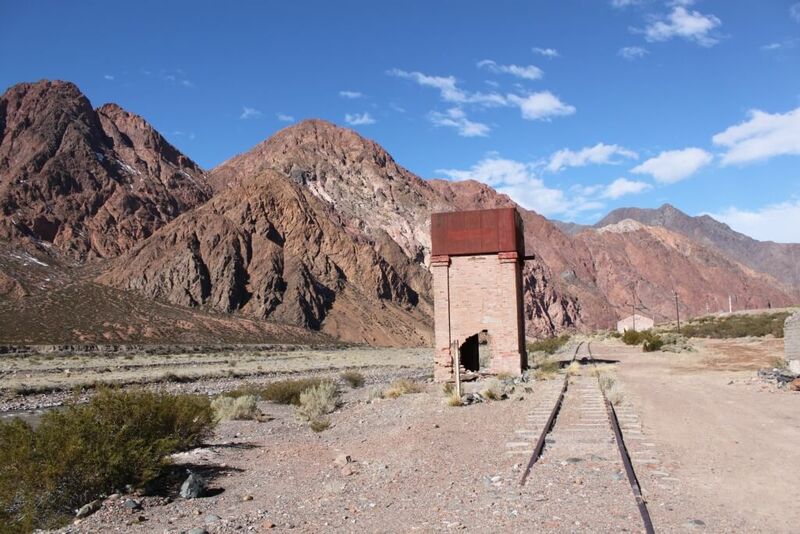 At some point we crossed into the Salta province. 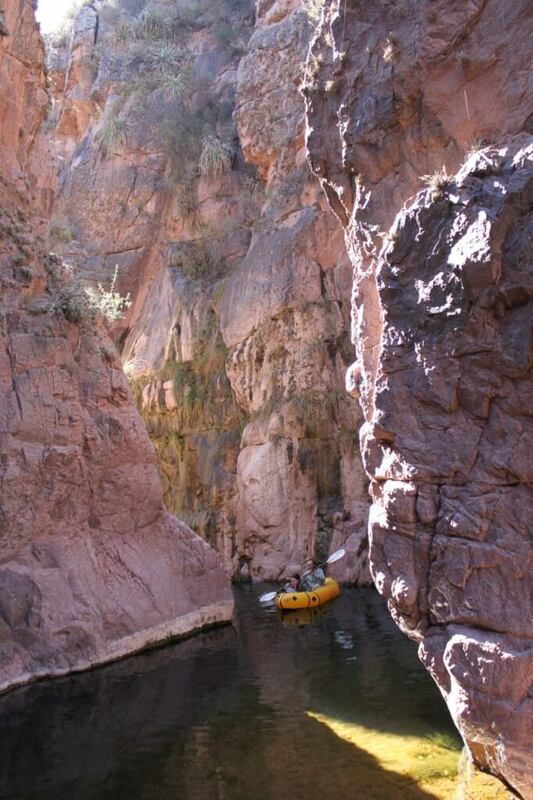 In Chilecito, a retired judge let us camp in his backyard. We met him when we were looking for a place to stay and couldn’t find one. He offered a little reluctantly. We drove through Los Robles, “European Last Name” read the town sign, and through Salicas, “Last Name of a Cacique”. Weird welcome from both towns, we thought. There are cornfields next to vineyards, and teenagers smiling at their phones. The houses are made of earth with flat roofs, surrounded by fences made with sticks. Their backyards keep dry red peppers, goats and outside ovens. 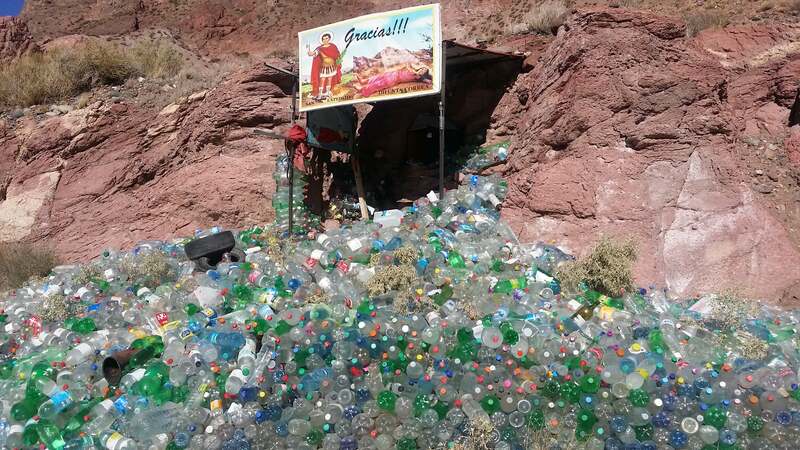 Next to the road, there are altars for the Deceased Correa, a pagan “saint” that they say died of thirst in the desert looking for the body of her husband, who had died in war. Though dead, she kept her newborn alive by breastfeeding him. People leave her bottles of water. 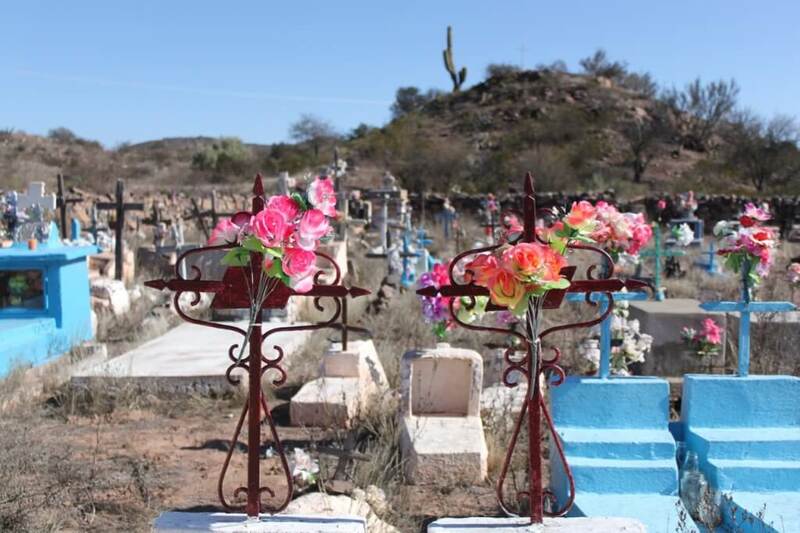 There are also sanctuaries for Gauchito Gil, another religious figure that people revere with red flags and flowers. The entry to Cafayate had a different backdrop: dirt and dust ended making way for enormous vineyards and fancy bodegas. The town exit was the same. 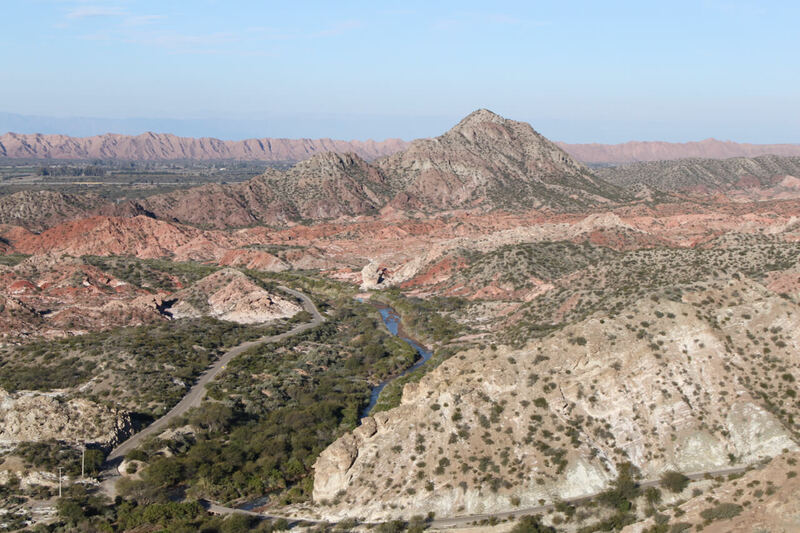 Between Cafayate and Cachi, on a dirt road that we drove in four or so hours, we again saw stunning rock formations. We picked up a lady and her sick son, and four backpackers who had just left to see America. One of them was from Medellín. 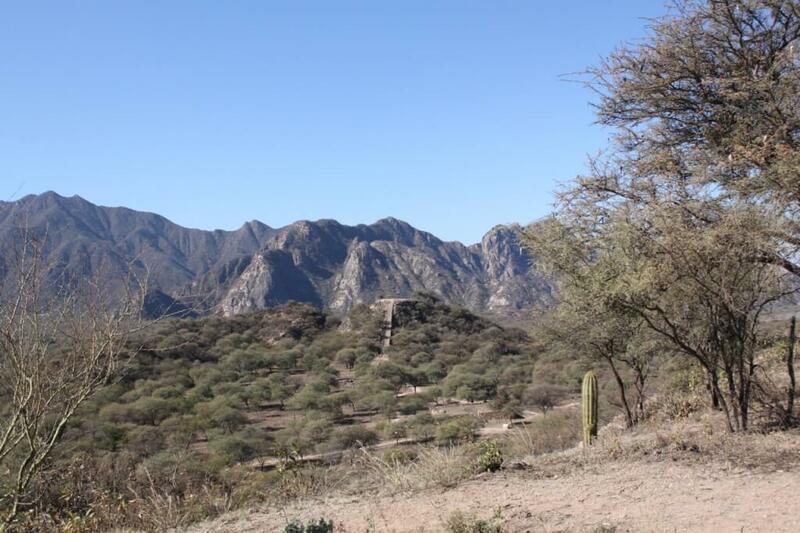 Cachi is a colonial town covered with dust, but pleasant and with amiable people. 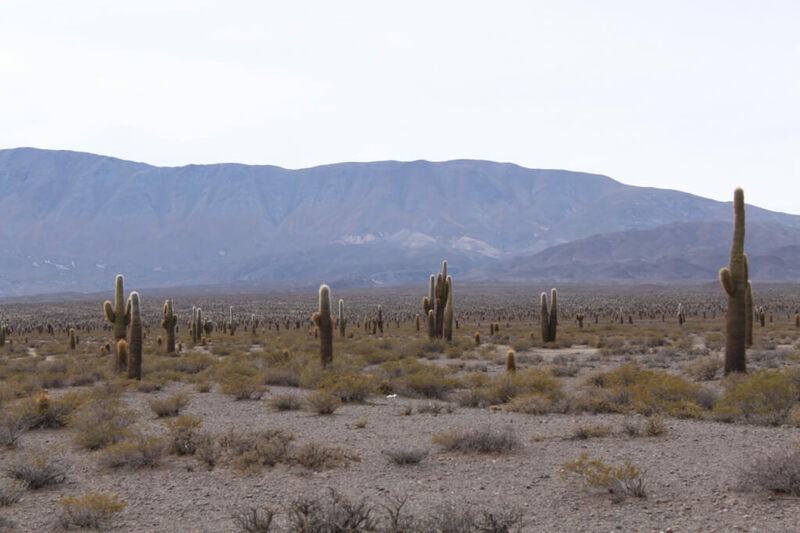 Between Cachi and Salta, in the Calchaquíes valley, we crossed through desert, puna, a cardones (cactus) reserve and jungle. Jungle! We arrived in Salta to celebrate Mr. B. He slept at a hostel, ate chocolate ice cream and immersed himself in Steam, Official Nerd Cubed and I Hate Everything until after he turned 14. Our internet days are intense. 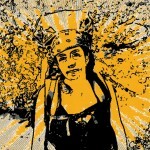 We feel close to the peace walks in Colombia, close to the peace agreements. And yet, still, so far away from it all.